What is the NIST Maker Space? And how is it different from Making? 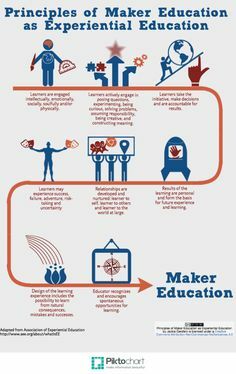 The NIST Maker Space is aimed at developing skill levels along a continuum within a guided, structured environment, leading toward purposeful creation, design, prototyping and innovation. This process initially involves the development of specialized skills, gradually applying those skills using models such as, Design Thinking. This process may be stand-alone, outside normal instructional time, however, the larger aim is to gradually see the Maker Space used as part of classroom integration authentically linked to the Units of inquiry.